Taking out medical insurance is wise when travelling abroad but in the US it is vital. The prohibitive cost of medical insurance in America means that simple medical treatments can see holiday makers facing bills worth thousands of dollars. Medical bills in the US are no joke and there is no healthcare agreement between the UK and USA. This means that if you have an accident or become sick when visiting the US you will be liable for all medical treatment costs if you do not have adequate insurance. Insurers recommend that travellers take out at least £2 million of medical cover when visiting America. That may sound like a lot but the cost of medical treatment on a broken arm will be between £20,000 and £30,000. The cost of medical care for travellers in the US is truly frightening. A day’s hospital visit can be around £1500. One holiday maker spent two days in hospital and had two separate operations for a twisted bowel. Medical costs and the additional late flight back to the UK totalled out at £130,000. With these sorts of figures it more than makes sense to pay for adequate medical insurance. Remember, some medical care centres in the US will refuse to treat patients if they do not have medical insurance. Insurance companies state that America is the highest ranked destination when it comes to medical insurance claim costs. 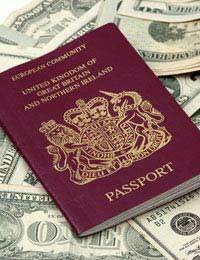 The average claim for medical costs from travellers to America is £1,241. This claim cost is approximately 16% more than the second highest country, Thailand. The number of medical claims from holiday makers to the US is around 2000 per year. Most insurers agree that £2 million is the minimum amount of medical insurance cover needed for the US. However, others will take the view that £10 million should be the upper limit, especially for older travellers. An air ambulance alone from the US to the UK will not see much left over from £30,000. That figures excludes medical treatment and hospitalisation. As with all insurance policies it is important to check what is and isn’t included in the price. There are exclusions, usually hidden, that pertain to all medical insurance policies for travellers to the US. Travel medical insurance will not automatically cover all medical possibilities and it is important to thoroughly check the inclusions of the policy that you are purchasing. For example, although it is unlikely to happen, most policies will not cover any losses or injuries sustained through terrorist attacks. One major factor to consider when taking medical insurance is pre-existing medical complaints. Many people will omit these details if they are asked for in an insurance policy. Insurance companies are well known for using the non disclosure of pre-existing medical complaints to avoid paying out. Always be honest when filling out travel medical insurance forms. Different insurers have different guidelines and some will only require the inclusion of medical complaints from the last 12 months. Many travellers will take out insurance thinking they are covered for all medical emergencies but this simply isn’t the case. Insurers will usually require extra premiums for travellers over a certain age; 65 is usually the danger zone age for insurance companies. Those who are travelling abroad for skiing trips should also pay an extra premium to gain adequate insurance coverage. Medical problems that are drink and drug related are also usually excluded. Travelling while pregnant is another condition that scares many insurance companies. An alarming number of holiday makers still travel without adequate medical insurance despite warnings and travel horror stories. Around 25% of all UK holiday makers travel each year without any medical insurance whatsoever. With medical insurance abroad policies costing as little as £10 for a single trip it is the inexpensive option when compared with US medical bills. There are also low cost multi-trip options that can be purchased that will cover many trips over the course of a year. Medical insurance will usually be a very small financial percentage of the overall holiday cost. However, it is one of the most important and overlooked factors for many travellers. When it comes to medical cover in the US this is one issue that should take top priority.